The history of the Bohemia Crystalite glassworks began in 1967, when the foundation stone was laid and work began on the construction of a new modern glass combine. There are records of glass production in this area dating back to the end of the 16th century. This history, and the small glassworks that still continue in this tradition, have been the source of a highly qualified workforce. CRYSTALITE BOHEMIA s.r.o glassworks now only produces and processes the new, modern ecologically-clean molten glass known as crystallite (crystallin) in a special refined consistency under a tried and tested process, which, in terms of its parameters, is equivalent to 24 leaded crystal and, in many ways, surpasses it. 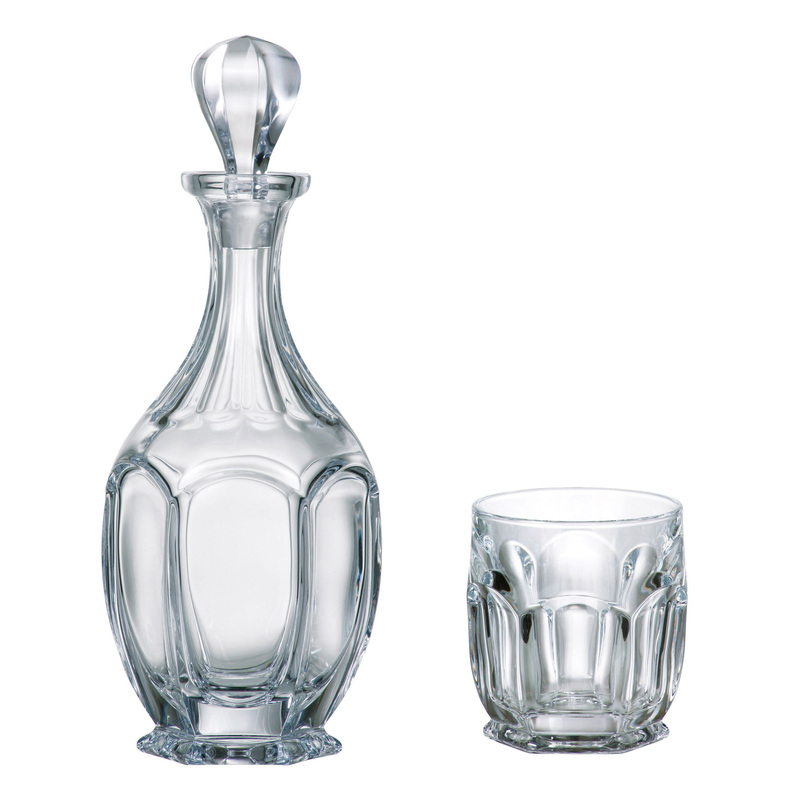 Bohemia decanter is a stunning combination of brilliance and clarity. 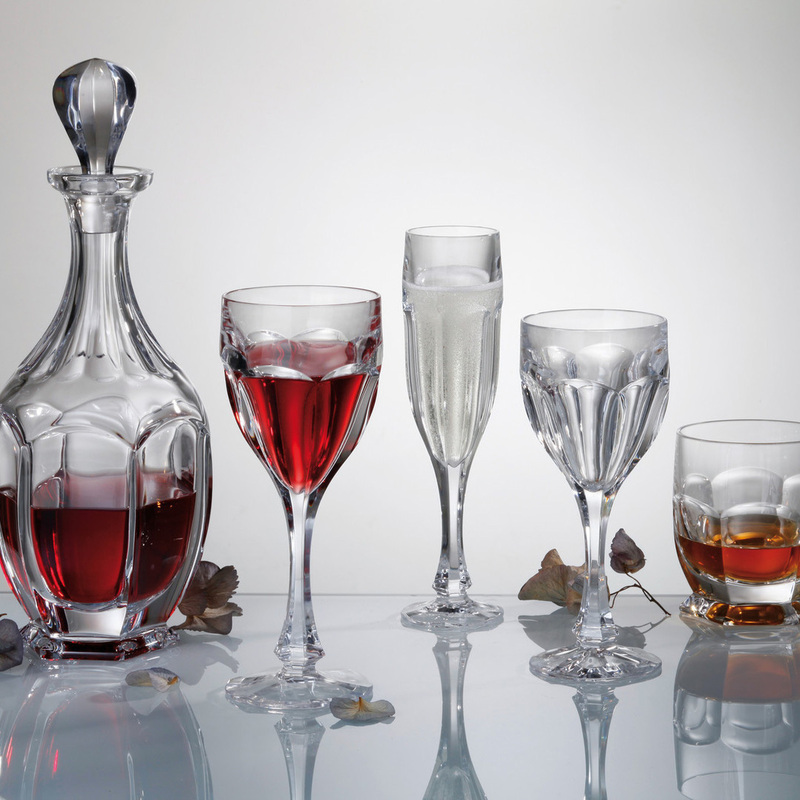 Improve the taste and aesthetics of fine wine, cordial, brandy or spirits by decanting them into Bohemia decanters. 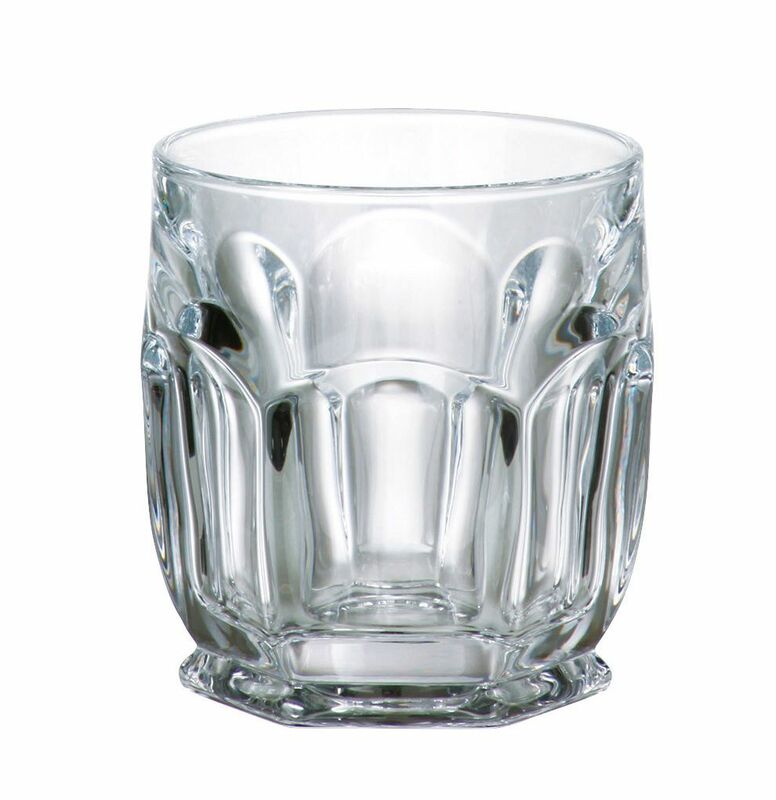 Wellington by Bohemia Crystal is a stylish and good brilliant crystal set.